mentNetworkProxyService service on computer '.'. But since this issue took me a while to overcome and it’s the second time this happens I though I write a quick blog about it. Yes! 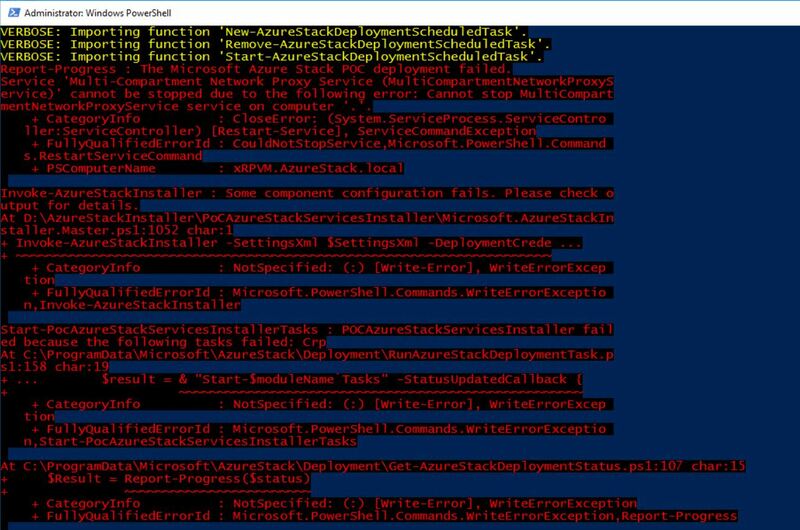 Last Friday the first public preview of Microsoft Azure Stack (MAS) TP1 was released. Twitter was going crazy and I saw a lot of downloads and deploys passing by. I was also blessed with some hardware from my company that meets the specs for an Azure Stack TP1 deployment. After that run powershell as an admin. 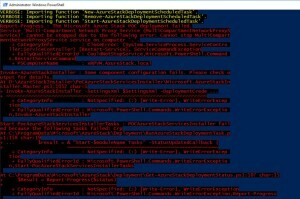 Give the powershell command and of you go! Then after several reboots and hours of waiting the deployment has finished!